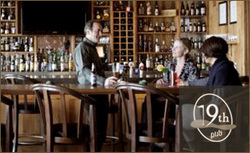 Visit the 19th Pub and enjoy a lively bar well stocked with draught beers, single malts, favorite cocktails and a selection from our casual Pub menu. 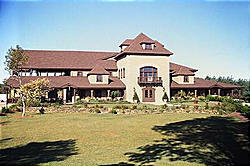 Virginia's largest winery. 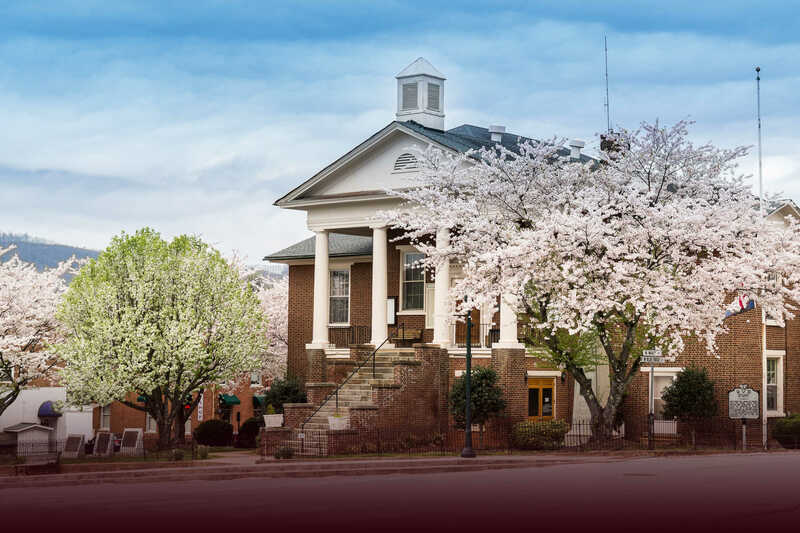 A stones throw from the Parkway, visitors are welcome to tour the facilities, taste the gold medal wines and enjoy a fine meal while surrounded by the magnificent beauty of the Blue Ridge Mountains. From May through October enjoy the outdoor jazz concert on the second Saturday of each month. "Circle K" Convenient stores have a hot bar and deli. Best oven fried chicken in town, and hot dogs. Elaborate Coffee Bar and Fountain drinks. Officially changed name from "On the Run" to "Circle K" 2018. Locations are Stuart, Floyd, Hillsville and Ridgeway. Locally owned and operated. Good home cooking. Breakfast, lunch and dinner. Call for hours of service. 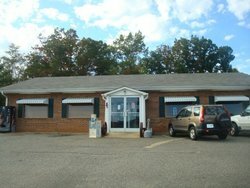 Route 103 next door to the Claudville Post Office. This refined dining room, located on the main floor in The Lodge, evokes the elements of air, water, fire and earth while celebrating elemental flavors, with a focus on local, organic and sustainable foods. 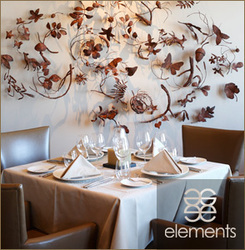 The food at elements, prepared with great care and thoughtfulness, sings with flavors as fresh and inspired as the ingredients weâ€™ve gathered from local growers who are as committed to pleasure as we are. 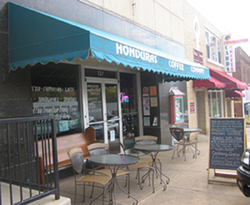 **NEW OWNERSHIP** Retail coffee shop. In the heart of uptown Stuart, VA. Great coffees, many flavors, cappucino, cafe latte, new sandwiches, new menu and much more. Wi-Fi available. 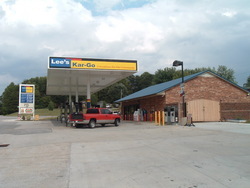 New canopy, new lighting, new gas pumps. Recently redecorated the interior A truly quality location. Pizza, beer, lottery, gasoline, snack foods. ATM. Conveniently located at the intersection of Rt. 103, Claudville Highway and Hatcher's Chapel Road. This is the most photographed location on the Blue Ridge Parkway! 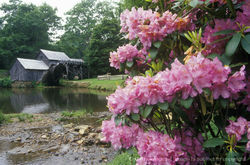 It was built in 1910, and the historic water-powered grist mill, sawmill and nearby blacksmith shop provide you with a view of pioneer life along the Parkway. Self-guided tours include a sorghum mill, soap making kettle, and an "old time" whiskey still. Mabry Mill is known for its stone ground grits, cornmeal, and buckwheat flour, which is why travelers and locals alike come back year after year for the Mabry Mill Restaurant's famous buckwheat cakes and country ham, and Virginia barbeque. The Mabry's Mill Gift/Craft Store is stocked with a great selection of handmade gift items and regional crafts. TO GO ORDERS ONLY. Located right off Rt. 58. Open from 6:00am till 8:00pm, with delivery service offered upon request with a charge of $1.00 per order with a minimum of 5 orders within a 10 mile redius. GO GETCHA SOME! Come to the beautiful community of Meadows of Dan. Here we have sandwiches, ice cream, fresh coffee, souvineers, gasoline, fresh vegetables, apples, peaches, plants and a lot more things you will find of interest. The best banana split to be found anywhere. TOLL FREE 866-960-7746. A private, 12,000 acre hunting reserve stocked with thousands of game birds annually, combines a scenic mountain setting with some of the finest upland game bird hunting in Southwest Virginia. Activities for families and sportsmen from wingshooting to deer hunting, spring gobbler hunting, sporting clays and fishing, Primland is a sportsman's paradise. Primlandâ€™s original Virginia dining facility, built atop the old stables, is available seasonally for breakfast or dinner and year-round for private parties and events. 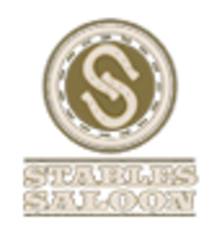 The Stables Saloonâ€™s chef and culinary team have created classic and casual menus perfect for a hearty respite after a full day of activities. Casual attire. Subway - DHRUV Star Inc. SUBWAY EAT FRESH! Offers freshly made sandwiches and salads. There are variety of gourmet breads which are baked fresh daily. The sandwiches and salads are made in front of your eyes freshly. You can dine-in or take out your order. 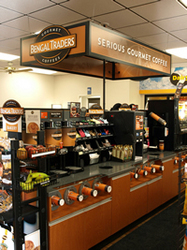 Offers variety of Hot and Cold Subs. Also you can have any of our sandwiches Toasted. Also offers Party Platters. See store for details. 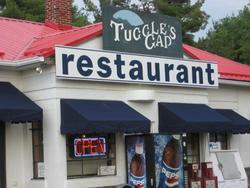 We are located on 109 E. Blue Ridge St, Stuart, VA 24171. That is in town on highway 8 & 58 Business. 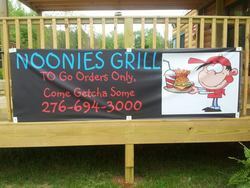 Call-in for orders to 276-694-4444 or Fax 276-694-2393. To view our store menu just following steps: 1) Click on the web site www.subway.com 2) Click on the Restaurant Locater Tab. 3) Enter the Zip code "24171" 4) Click on "Local Store Web Page" 5) Then Click on Menu Tab 6) Click on Subs, Salads or Wrap to View different menus.